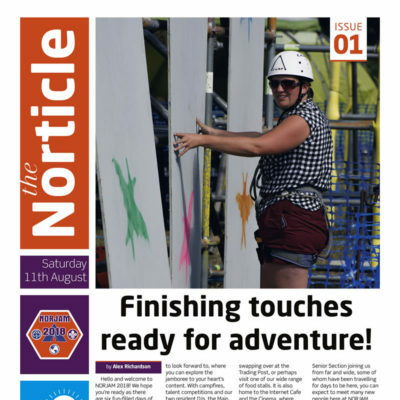 Day 1 of NORJAM 2018 means Issue 1 of our daily jamboree newspaper; The Norticle – take a look now! On site and got a story for us? Come to the Media centre or speak to your subcamp media representative.